When I had my first meeting with my coach, I told her that I had some difficulties with progressive runs in the past. Since she believes they are a useful training tool, she has been suggesting them as part of my workout routine. I have to say, they are much less mentally challenging than they were when I started. As I've said before, I'm pushing my body to limits I've never thought to reach before. On the schedule was a 10 mile run this weekend. Temperatures were awful all day on both Saturday and Sunday so I waited until the evening on Sunday. The temps were still warm (high 70s) but the sun wasn't a factor and there was a small breeze. I don't want to fall into my old habits from last summer as I have to allow myself to acclimate to the heat. 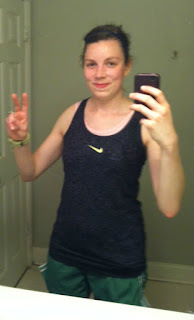 Last year I probably would have done this run on the treadmill to avoid any heat at all. Baby steps, right? I headed out and did some loops around my neighborhood. In case I was feeling weak from the heat, I wanted to be close to home. In my area, there aren't a lot of sidewalks so I stayed within the busy street limits and the route got real boring real quick. That's okay though, it served its purpose and I got it done. The first 6 miles were to be at an easy pace, picking things up the last 4 miles. At first I was a little worried as to how things would shake out. I'd like to think this run was a success as I was able to do just that. I had to make a quick pit stop part way through the run to use the rest rooms but I made sure it coincided with my energy chew consumption to minimize the amount of time stopped. I headed back out and finished things up strong with my last mile being the quickest, yet I still felt controlled and challenged (yet not completely spent). 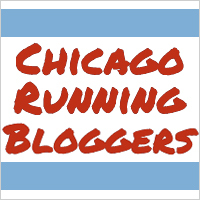 It was a great run, but the next day my lower extremities were a little sore. Thank goodness for compression. 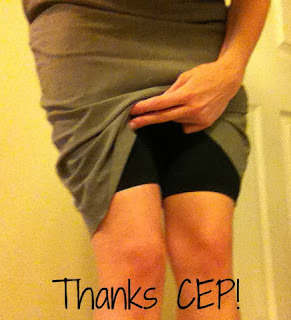 It was a warm day so I wanted to see if I could get away with wearing my CEP Compression shorts under a pencil skirt. I'm jealous of you getting to do the warrior dash! For the last two years, I feel like I always have something going on when there's one in the area... gah. Good luck with the 5k on Thursday! 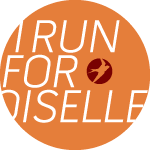 Im going to attempt my first progression run this weekend thanks to our coach :) Im mildly terrified to do this outdoors, with wind and stuff, away from my safety blanket of Treadie LOL. Good luck on your 5K this week! Good luck!! I'm sure you will totally rock it out. I actually found the progressive runs to be easier to do outside than on the treadmill. Maybe that is just because I find running out side (in general) to be easier than running on the treadmill? I can't wait to read how it goes! Congrats on a good run! Compression shorts are like my new Spanx. I love them! Haha, I agree!! Can't fit into those jeans? No problem! Just wear some compression shorts under! I've totally done this on casual Fridays after a tough speed workout on a Thursday. Winning!! Love the compressions shorts under the skirt! Good luck with the race--a Thursday race, btw? Pretty cool.